People with diabetes are at a higher-than-average risk of developing cardiovascular problems. Do you know how to prevent these complications?! LDL cholesterol is the “bad” cholesterol directly associated with the development of atherosclerosis and the risk of coronary, cerebrovascular, and peripheral vascular disease. According to the Centers for Disease Control and Prevention (CDC), a person with diabetes should aim for an LDL cholesterol level of < 100 mg/dL. An individual with diabetes is considered “high-risk” for cardiovascular disease. LDL and other lipid levels should be measured at least once a year, and more often if the patient is on therapy or not at-goal. Triglycerides should be < 150 mg/dL, and HDL (the “good” cholesterol) should be > 40 in men and > 50 in women, according to the CDC. Centers for Disease Control and Prevention. “Stay Healthy.” September 27, 2016. Accessed 10/15/16. https://www.cdc.gov/diabetes/managing/health.html. Aspirin is generally not needed in people with diabetes. Different medical organizations have slightly different recommendations for aspirin use. 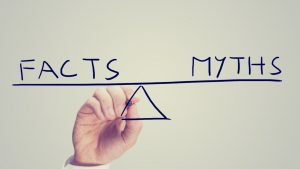 The American Diabetes Association (ADA) Standards of Medical Care in Diabetes recommends that aspirin (75 to 162 mg a day—generally taken as an 81-mg “baby” or “low-dose” aspirin) be taken by patients with diabetes at increased risk for cardiovascular disease, including men and women 50 years of age and older. Patients should check with their healthcare provider to make sure there are no contraindications (for example, bleeding, aspirin allergy, or gastrointestinal disorders). Patients under age 21 should not take aspirin because of an increased risk for Reye’s syndrome. American Diabetes Association. 2016. “Standards of Medical Care in Diabetes—2016.” Diabetes Care. Volume 39, Supplement 1: S1-S112. Accessed 10/15/16. https://care.diabetesjournals.org/content/suppl/2015/12/21/39.Supplement_1.DC2/2016-Standards-of-Care.pdf. Aerobic exercise is one of the best “medicines” for someone with diabetes. Aerobic exercise is defined as continuous, rhythmic physical activity that uses large muscle groups. Examples are rapid walking, jogging, bike-riding, and swimming. Ideally, one should exercise every day, but it is reasonable to aim for 30 minutes at least five times per week, or for a total of 150 minutes per week, according to the ADA. This form of exercise can lower blood pressure, lower LDL cholesterol, and increase sensitivity to insulin (reduce insulin resistance). It also helps with weight loss, and will improve your overall cardiovascular health. American Diabetes Association. “What We Recommend.” May 19, 2015. Accessed 10/15/16. https://www.diabetes.org/food-and-fitness/fitness/types-of-activity/what-we-recommend.html. Only the “top” number of your blood pressure is important. Only the “bottom” number of your blood pressure is important. The “top” number is your systolic blood pressure, and represents the pressure in your arterial blood vessels (the vessels taking blood away from your heart when your heart contracts). The “bottom” number is your diastolic blood pressure, and represents the pressure in your veins (the vessels taking blood back to your heart). Think of your blood vessels as pipes in your home—you would not want the water in the pipes to be running at high pressure, because over time, the pipes could become damaged, or burst. The same is true for your blood vessels. All people with diabetes need to take blood-pressure medications. Not everyone with diabetes will need blood-pressure medication. High blood pressure, known as hypertension, is a risk factor for cardiovascular disease; it is the leading risk factor for strokes. The blood-pressure goal for most people with diabetes is below 140/90, according to the ADA. 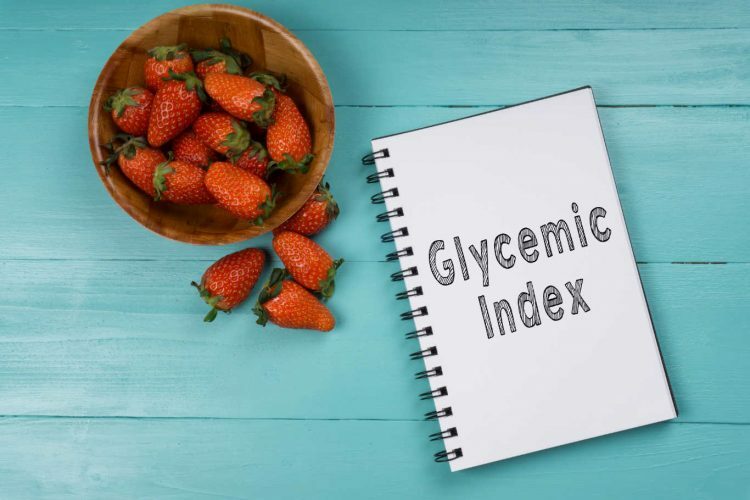 While people without diabetes may not be treated until their blood pressure is higher, many healthcare providers feel that it is important to be aggressive with their patients with diabetes. If lifestyle modification does not bring blood pressure to goal, treatment with medication is generally indicated. Recommendations for the prevention of cardiovascular disease in patients with type 1 diabetes are the same for those with type 2 diabetes. According to the American Heart Association/American Diabetic Association Scientific Statement published in 2014 in Diabetes Care, the recommendations for both groups are generally the same in terms of preventing heart attacks, stroke, and peripheral vascular disease. De Ferranti, S.D., de Boer, I.H., Fonseca, V., et. al. “Type 1 Diabetes Mellitus and Cardiovascular Disease: A Scientific Statement from the American Heart Association and American Diabetes Association.” Diabetes Care. American Diabetes Association. October 2014. https://dx.doi.org/10.2337/dc14-1720. Body mass index (BMI) is a way to express your body weight relative to your height (in other words, correcting for your height). It is expressed as weight in kilograms divided by height in meters squared (wt kg/ht m2). Values are listed below. 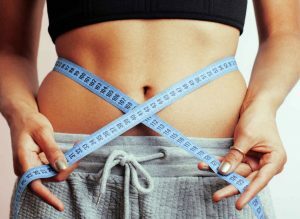 Monitoring your BMI can be very helpful in maintaining a good weight for your height. All of the medications listed help reduce blood pressure; other medications exist, as well, including beta blockers. Your healthcare provider will work with you to decide which medications (if medications are needed) are best for you. 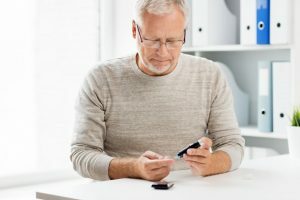 In general, people with diabetes take an angiotensin-receptor blocker (ARB) or antiotensin-converting enzyme inhibitor (ACEI), with or without a thiazide diuretic. Diuretics, also known as “water pills,” have been proven effective. All patients with hypertension should also work on lifestyle modification to help lower blood pressure via exercise, weight loss, and a low-salt diet. When it comes to heart-attack risk, triglycerides are not as important as LDL cholesterol. They’re every bit as important. Triglycerides are a form of fat associated with the risk of coronary artery disease and heart attack. Your body makes triglycerides, and triglyceride levels also depend upon what you eat. Dietary factors that increase triglycerides include very high-carbohydrate diets (60 percent of total calories) and excess alcohol intake. Being overweight (especially abdominal obesity) and being sedentary also increase triglycerides. People with diabetes are particularly prone to elevated triglycerides. Your triglyceride goal is < 150 mg/dL, according to the ADA. If lifestyle changes do not bring you to goal, there are medications that can help lower triglycerides. In general, it is safe—and recommended—for people with diabetes to exercise. Regular physical activity can help strengthen your heart and lower your risk for heart disease and stroke. People with diabetes who use insulin may be at risk for hypoglycemia, and should speak with their healthcare providers to make sure that their insulin is adjusted and administered properly for their exercise program. As patients lose weight, their requirements for insulin and oral medication may change, and may need to be adjusted. Walking, running, and other higher-impact activities may increase the risk of foot ulceration. Wearing proper athletic shoes is very important. It may also be helpful to work with a podiatrist to adjust your shoes, or to have special insoles made to help correct any gait or structural problems you have. It is always important to make sure you are well-hydrated, especially in hot weather. You should drink before you feel thirsty, as you may begin to become dehydrated well before that time. Cold weather does not bother many people with diabetes, but if you have peripheral neuropathy, you may want to take extra measures to keep your extremities (hands, feet, and head) warm, as neuropathy often prevents feeling proper sensation.